During the recent National Day holiday, I was supposed to attend three wedding banquets in my hometown of Wenzhou, a commercial city in East China's Zhejiang Province. But two of the banquets were canceled due to a new government regulation. According to the regulation, which went into effect on October 1, individuals who work in the government sector or for a public institution in Wenzhou must limit their wedding budgets. Specifically, the budget for each table at a banquet cannot exceed 3,000 yuan ($434); hongbao (red envelopes stuffed with money) from each guest should not exceed 300 yuan. The same rule was also applied to locals whose parents are public servants in Wenzhou. For people who already planned to hold a grand wedding ceremony and a luxurious banquet, they had to immediately cancel their plans and reservations and opt for a more economical wedding. The new rule raised heated discussions among locals in my hometown. Some relatives and friends were dissatisfied. My aunt said she has given many hongbao with large amounts of money when attending previous wedding banquets. She was expecting a return on her past investment, but "due to the new rule, I might never be able to get the same amount of money back when my own daughter holds her wedding." Likewise, my friend Judy said the new regulation disrupted her wedding plans and ruined her dream. Others are in favor of the new rule. Zoe, a friend of mine who works for a local government department, believes the regulation can change China's traditional extravagant weddings. "Under the new rule, couples will choose frugal ways to get married," Zoe said. Personally, I think the new rule will make some people uncomfortable in the short term, but in the long term it will bring about great benefits to Chinese society. One benefit is that people's financial burdens will be reduced. In Wenzhou, there is a strong competitive atmosphere when it comes to weddings. If a couple's wedding ceremony and banquet are frugal, guests tend to think their family is poor and thus they will look down upon them. 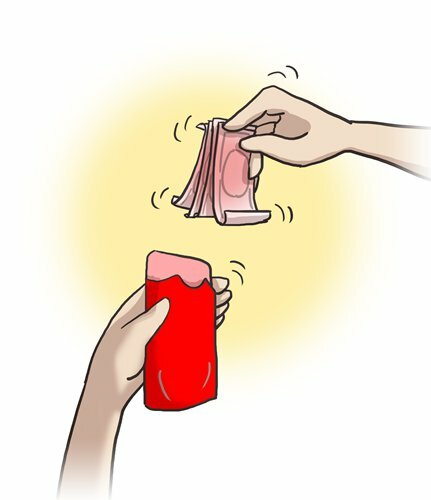 In order to maintain a good reputation and image, many couples and their parents sometimes spend hundreds of thousands of yuan on a wedding, though the average annual disposable income of a Wenzhou city citizen was only around 52,000 yuan in 2017. Some people even have to borrow money from relatives to hold a fancy wedding. Thanks to the new regulation, however, such traditional extravagances can finally be reversed. Instead of wasting hundreds of thousands of yuan on a banquet, newlyweds can spend that money on traveling, housing or childcare after marriage. More importantly, the new regulation is very likely to ease the societal pressure of feeling like they must give huge amounts of hongbao when attending wedding banquets. Attending banquets is an important social activity, as the exchange of hongbao tends to help people maintain special relationships (guanxi) with acquaintances. If you give a hongbao to a newly married friend, they are expected to return a hongbao with a similar amount when you are married. Our local custom is to give a hongbao of at least around 1,000 yuan when attending a wedding banquet; if your relationship with the bride or groom is very close, the hongbao must be bigger. But for local young people without much savings (like me), the practice of having to give a big hongbao is a big burden. Holiday seasons are a nightmare for my bank account, as attending several wedding banquets during the holiday week drains my savings. Personally, I am glad to see that there is finally an official limit on wedding hongbao. Though the amount of money my family will receive during my own future wedding ceremony will be much less, the money I have to give out until then will also be less, for which I am grateful. The opinions expressed in this article are the author's own and do not necessarily reflect the views of the Global Times.